This digital disruption of hyperconnectivity is still evolving in all industries but with regard to transportation, the current focus of vehicle connectivity is primarily focused on the optimization of its own internal functions to maximize performance. In the future, vehicles will be connected not only to their internal parts but also to other vehicles, surrounding conditions and to intelligent infrastructure including traffic lights, rail crossings, speed management, parking or other obstacles. We can classify these various forms of wireless communications into three types of technology: Vehicle-to-Vehicle (V2V), or the communication among vehicles; Vehicle-to-Infrastructure (V2I), connection between vehicles and fixed surrounding infrastructure; and finally, Vehicle-to-Everything (V2X), which is the communication from any entity that may affect the vehicle. Each type is based on a different kind of wireless technology like DSRC, bluetooth, mobile networks or short range radio, and is therefore in a different stage of development. We expect that the market will only be ready for V2I technology once V2V applications are active in the vast majority of cars. V2X will then follow. Let’s briefly explore the applications of the three technology types and how they build on each other. V2V communication decreases the number of collisions by retrieving the vehicles’ locations, speeds and direction. 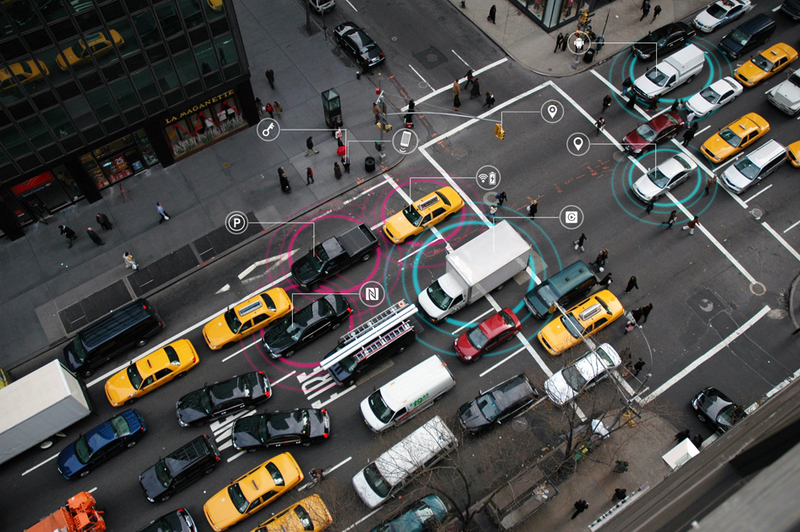 Because non-connected cars are invisible to smart cars, V2V will require all new vehicles to be connected. Today, we can see V2V technology in action in assisted parking and cruise control, but there is still a long way to go before achieving a full car-to-car network. Optical Vehicle-to-Vehicle Communication System Using LED Transmitter and Camera Receiver Article. Oct 2014. IEEE Photonics Journal. Much of the development of V2I communications heavily relies on the progress of V2V technology. The application of V2I is primarily to optimize traffic with the architecture of Signal Phase and Timing (SPaT). V2I technology aims more toward the ability to coordinate moving cars with traffic light patterns than toward the typical safety concerns on the road. V2I will continually send data from the vehicles to the infrastructure, which will react accordingly. 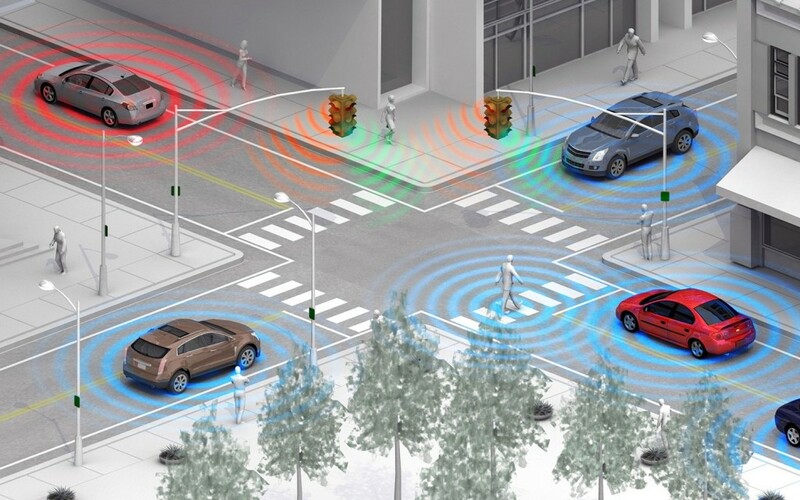 V2X technology combines V2V and V2I, along with all possible connections between vehicles and anything interacting with vehicles like networks, pedestrians or devices. The scope of these communications is endless, from a pedestrian alert in a blind intersection to real-time traffic information. These communications are critical to the evolution of driverless cars and to the establishment of a truly smart connected network.